What are the Best Tips to Pass the Praxis&Trade;? The Praxis exam has some multiple choice questions. Hiring a math tutor prior to taking the Praxis test may be a good idea. The best tips to pass the Praxis™ exam include studying and preparing before taking the test. The test has three sections; math, reading, and writing. There are different ways to prepare for each section. Students who are going to school to become teachers often have to take the Praxis™ exam to receive their teaching license or certification. For some people, the math portion of the Praxis™ may be the most difficult. It helps to have a good foundation of math skills—a person who does not have a good, basic understanding of math may want to take a general math course at a community college as one of the best tips to pass the Praxis™. It could be helpful to hire a math tutor for a few weeks before taking the test as well. A calculator is not allowed to be used during the test, so it is best to practice math equations with pencil and paper. The reading portion of the Praxis™ exam has short passages followed by comprehension questions. There are Praxis™ practice books and websites that give sample reading questions that could help to prepare someone for this part of the test. It is important to look at the questions before reading the passage. Reading the passage slowly and carefully will help in finding the correct answers to the questions. The writing section of the Praxis™ exam has multiple choice questions and an essay question. Many people who struggle with writing worry about the essay question the most. Writing some practice essays is one of the best tips to pass the Praxis™. The essay can be broken down by creating an outline with an introduction, body, and conclusion. After writing the entire essay, it is important to proofread the essay for grammatical errors before turning it in. 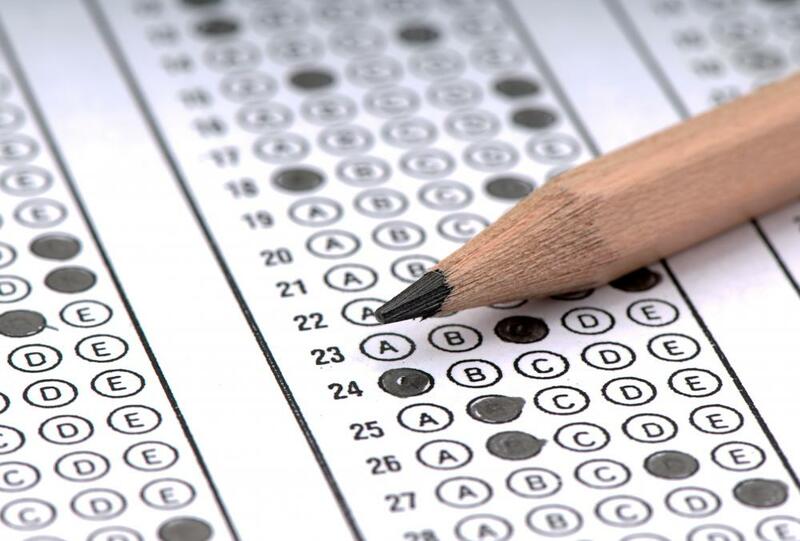 Most people who pass the Praxis™ exam prepare for all three sections of the test. Practice books that are specifically created to provide the best tips to pass the Praxis™ will help to understand what will be expected on the real exam. It can also be helpful to find a teacher who has recently passed Praxis™ and ask if she will meet once a week for tutoring. Many colleges offer a Praxis™ study class that can be taken before the test date and will review all portions of the test. Some people have to take the Praxis™ more than once to pass it. If this is the case, it is best to use as many preparation resources as possible before taking it again. It can also help to get plenty of sleep the night before the test and eat a well-balanced breakfast the morning of the test. How Do I Score Well on the Social Studies Praxis™? How Do I Score Well on the Middle School Math Praxis™? How Do I Choose the Best Praxis™ Book?